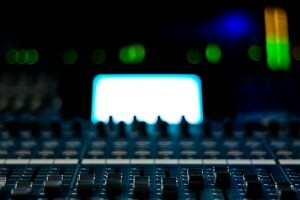 Home › Music And Technology Blog › Mixing › Should you mix your own music? Don’t underestimate the importance of great mixing! There is no denying that many artists are choosing to purchase recording gear and record themselves at home. There are certainly many advantages of recording yourself at home, not the least of which is the potential cost savings versus recording at a big recording studio. The cost for decent quality recording equipment has dropped significantly, to the point where, if you already own a decent computer system, you could put together a very simple recording setup for just a few hundred dollars, if it’s just mostly yourself doing vocals and one instrument at a time. Certainly you aren’t going to get the same results at home as you could recording in a big studio, with acoustically designed rooms, and a great collection of high-end professional gear, but it’s pretty amazing what you can do at home these days with a fairly reasonable budget. Not to mention the fact that you can work whenever you want, and you may capture a better take when you aren’t under the pressure of the studio clock ticking away, or in front of people that you may not be entirely comfortable with. If you are able to handle the technical issues, and spend the time to research the equipment in your budget range, and set up a decent space to record where the room acoustics won’t screw up the recording too much, you can get some pretty decent tracks recorded. However, the place where most people fail is in the mixing. Mixing seems like it would be fairly simple, as you can do it all on a notebook computer these days using nothing but some DAW software and a variety of software plugins. As the artist, you know how you want your music to sound, so who better to mix it than yourself? The simple fact is that mixing is a unique skill that takes many years of practice and experience to get good at. You can’t just grab some software and plugins and start messing around without any training or experience and expect to crank out a great sounding mix. It’s like playing the guitar or piano… sure, you can show someone the basics and they can make some noises that might sound a bit like music, but it takes many years of practice and experience to become a great musician. Mixing is no different. Of all the hit songs on the radio, I can say with 99% certainty that unless it’s a hit from an electronic music (DJ/Dance type producer), the artist didn’t mix their own songs. There is a good reason why they hire the superstar mixing engineers! They want that hit record sound! A big part of that hit record sound is in the mixing. I would go so far as to say that mixing is just as important as the songwriting and performance itself. However, having said all that, I’m not suggesting that you need to hire a superstar mixing engineer to mix every song you record. I’m pretty sure that the majority of independent artists can’t afford that. Plus, many songs simply aren’t ready for or don’t need professional mixing. Perhaps you are just doing some quick demos to send to collaborators, or just recording for family/friends, or just doing it for fun or to learn the whole production process. These situations, and many others, don’t require professional mixing. In those cases, you can probably get away with mixing it yourself. When you do have a great song that you plan to release and sell on a widespread basis, or shop around to labels, publishers, agents, etc., then you should definitely consider hiring a professional to do the mixing for you. Industry professionals are used to hearing professionally mixed music, and so is the music buying public. If you want to sell your music on a large scale, or shop it around to industry professionals, then it better sound professional! Most of the time you won’t be able to hire one of the elite superstar mixing engineers. They are either too expensive, or too busy, for most small independent artists. What you do need to do is to take your time to research and find the best mixing engineer that fits your budget, who has readily available samples of their work you can listen to, and who you think is a good match for your style of music. Stay away from those people who offer to mix your songs for $20 to $50 each! You get what you pay for, and you could probably do a better job of it yourself. Also, don’t let yourself be tricked by audio samples that are really loud and really bright. Our brains are easily fooled into thinking that louder and brighter is “better”, which is the basis for the whole loudness wars problems we’ve been having over the last 10 years or so. But, if you listen more critically and adjust volume levels to match audio samples that you are comparing, you should be able to judge what is really a good mix, and what has simply been made extremely loud and bright (but probably also very harsh and hard to discern all the elements of the mix clearly). Getting the music up to modern levels of loudness is usually the job of mastering, and should NOT be done as part of the mixing process. So, keep that in mind and don’t be fooled by the cheap mixing services that just run everything through peak limiters to make it all loud and bright. So, what should you expect to pay for professional level mixing? It mostly depends on who you hire, what their experience level is, how busy they are, and possibly even how much they like your music. My personal rates for mixing usually range from $200 to $500 per song. I love mixing (and am very good at it), so I base my mixing fees on a discounted hourly rate of $50 per hour. I listen to the song first to decide if I’m a good match for mixing it, and to determined if it was recorded well enough to do a good mixing job. If it passes those conditions, then I try to estimate how long it will take me to mix the song, and come up with a flat fee. I usually underestimate, and will often give more of a break to people whose songs I really enjoy and really want to mix. I enjoy mixing, especially when people send me their tracks via the internet so I can work on the mixing on my own time between other sessions. I keep myself busy with a variety of projects, and so I don’t take on every mixing project that comes my way. However, it’s my favorite part of what I do, so if at all possible, I will take on most mixing jobs and do my best to work within your budget. I’m very good, and recently was one of the winners in the highly competitive Sound On Sound – Dave Pensado mixing competition. I offer major label quality professional mixing at reasonable rates. I’m not the right fit for everyone, and, as mentioned above, there are often times when you don’t need to hire someone else to mix your music. Getting great sounding mixes take many years of experience, plus a certain level of equipment, along with a great sounding room to mix in with proper full range monitoring. I’ve been doing this professionally for over 20 years, including several years on staff at one of the largest studios in the Seattle area. I’ve also been building up my own home based professional studio since the mid 80s, and it has grown into a full service studio with very high-end gear that I’ve carefully invested in over the course of my career. In addition, I’ve spent a huge amount of money on remodeling and acoustical treatment to create a proper acoustic environment to work in. Most people simply can’t afford to do that kind of thing in their own home. In addition, it’s very difficult to mix with cheap speakers or headphones. High quality studio monitors and acoustical treatment make a huge difference in helping you accurately hear what you are doing so you can make the best mix decisions. There is certainly nothing wrong with trying to mix your own music, if you don’t have high expectations for it, or can’t afford to hire a professional. Just don’t expect it to be something that you can learn to do well in a few days or weeks. It usually takes years of practice and experience to become really good at it. You also need to consider if that’s the best use of your time, or if that time would be better spent working on your songwriting and perfecting whatever instruments you might play. This goes back to my old article “Can You Really Do It All Yourself?“. Jack of all trades, but master of none is a quote that I think applies very well here. There are certainly some musicians out there that are pretty decent at recording at home, but most of those who have achieved superstar status are not trying to mix their own music… they leave that for the real professionals. Focus on what you are good at, and leave the mixing to the pros! 2 Pings/Trackbacks for "Should you mix your own music?"